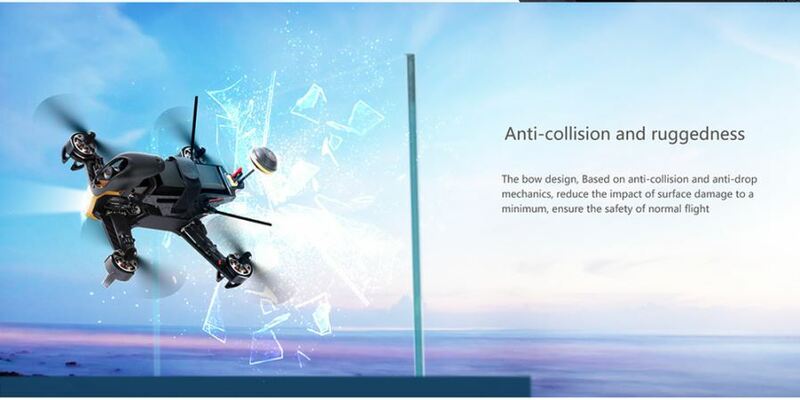 Bow and streamlined design, combined with the physical mechanics, its four wheelbases are equal. 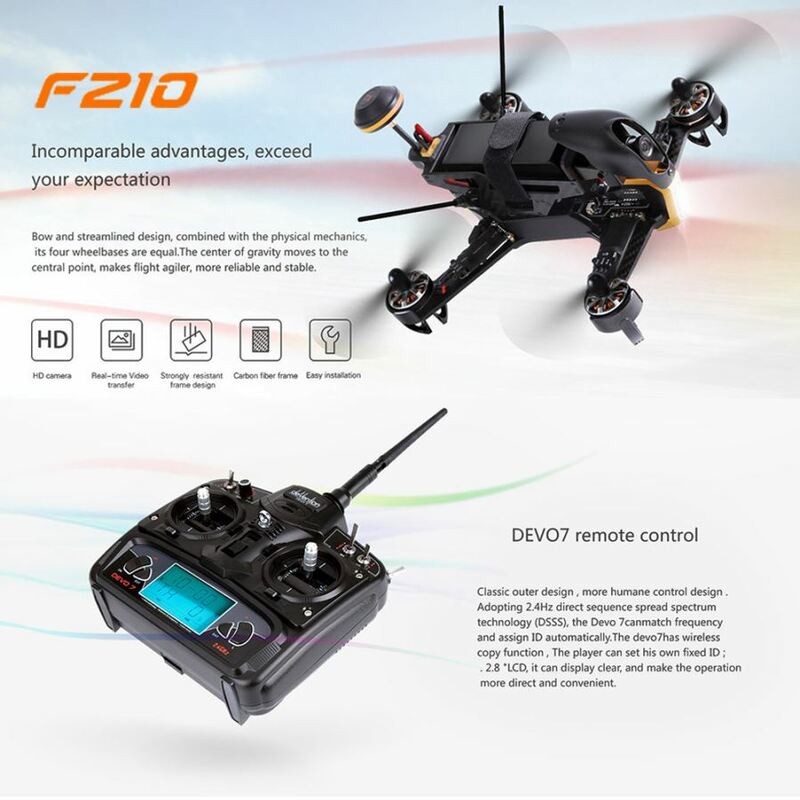 Made of carbon fiber materials, plus a protective cover motor design, making the F210 solid and anti-crash and its flight speed comparable to F1 racing. 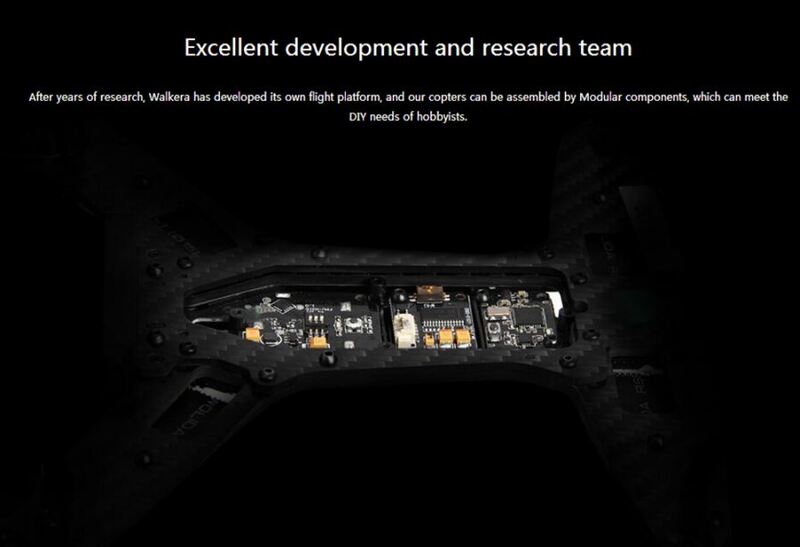 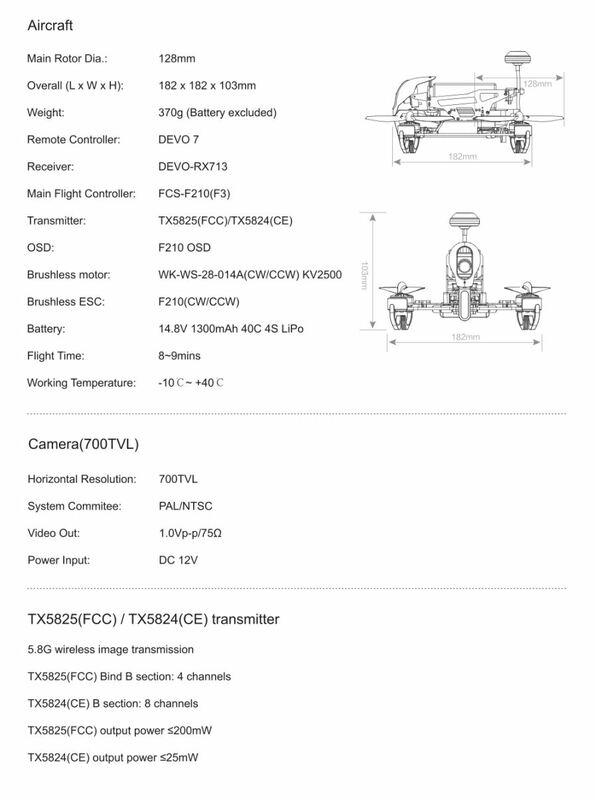 Advanced live video and OSD system, for an unforgettable visual FPV experience. 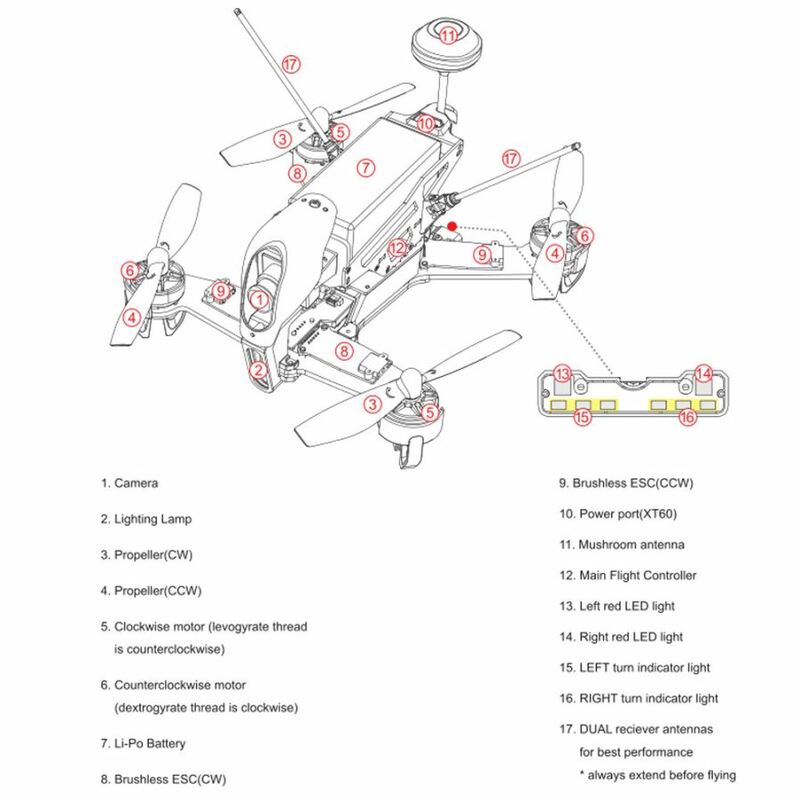 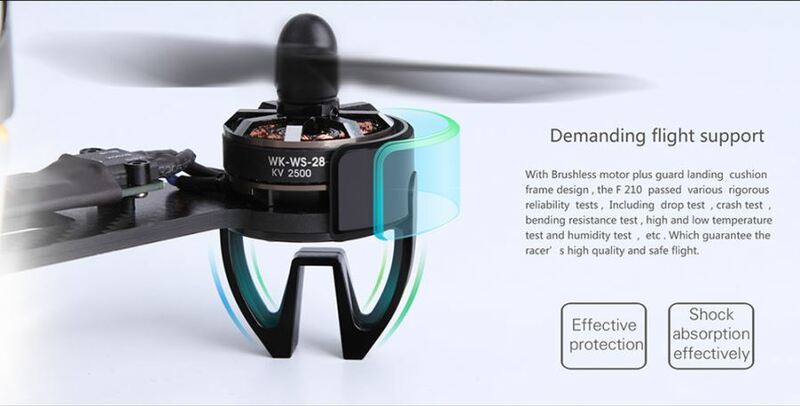 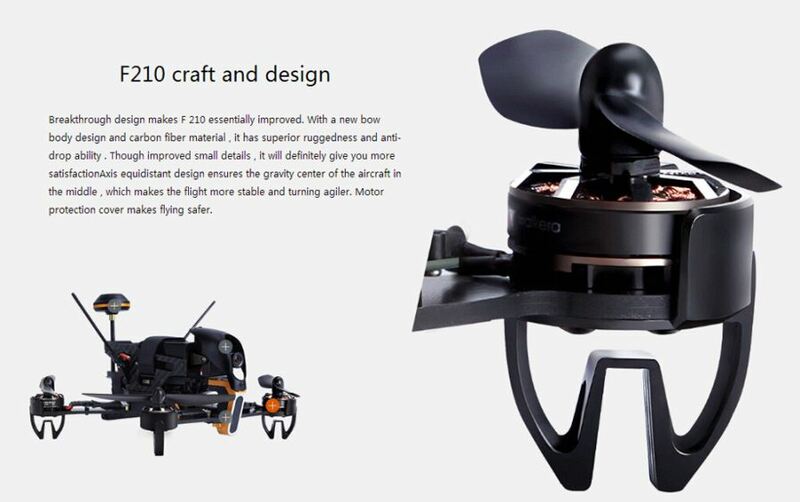 With Brushless motor plus guard landing cushion frame design, the F210 passed various rigorous reliability tests. 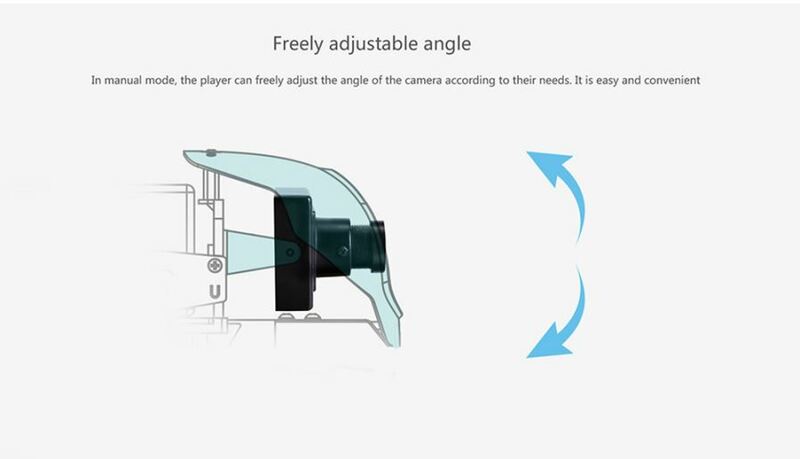 With the latest F3 flight system, the professional speed controller, the players set the speed freely according to their needs. 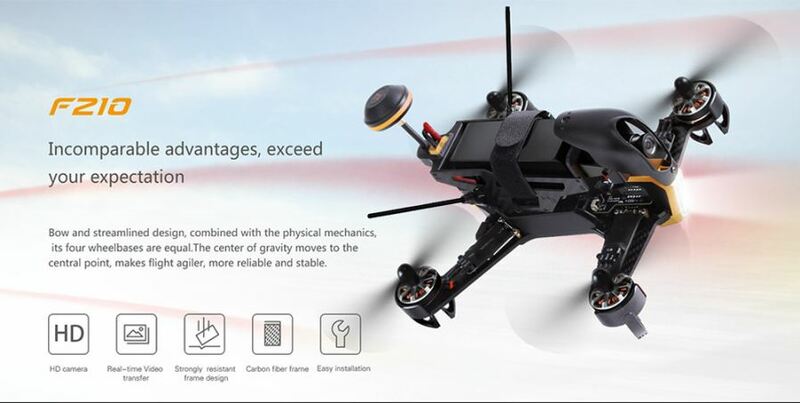 Ultra-long transmission range, transmission distance over 800 meters. 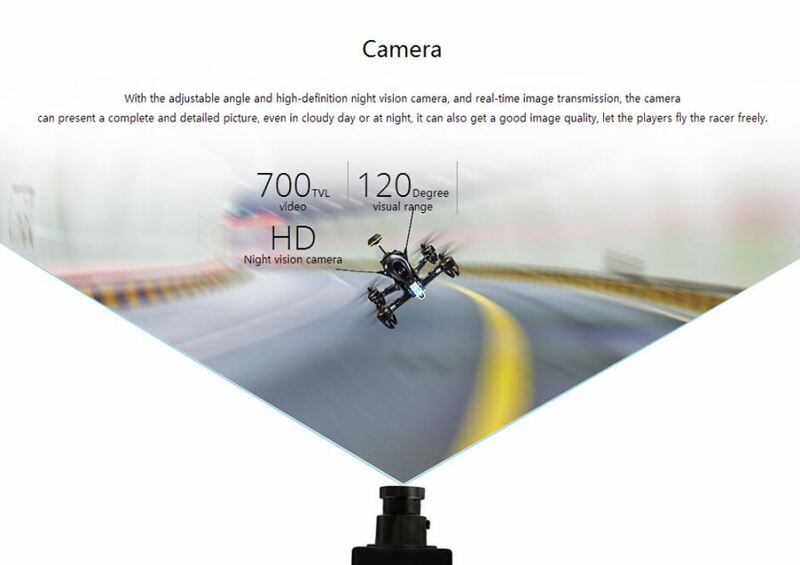 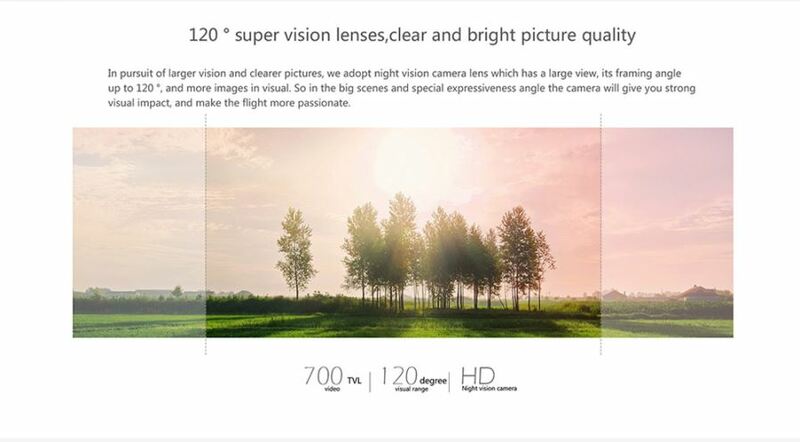 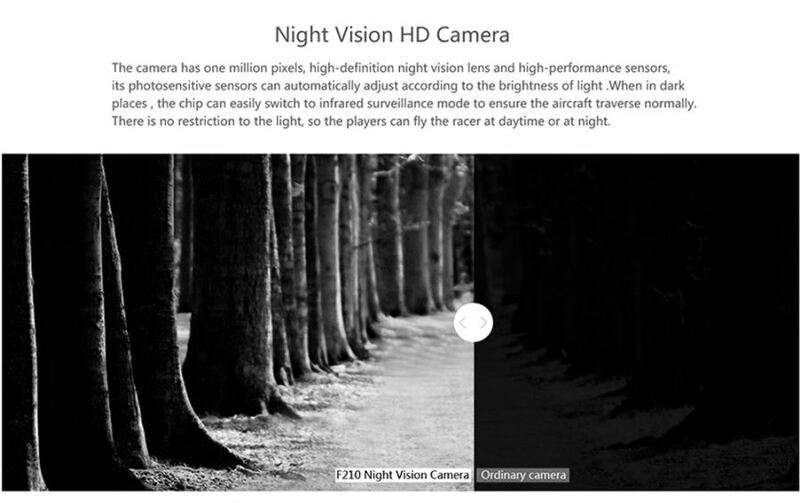 700TVL HD camera adopts night vision camera lens which has a large view, its framing angle up to 120'. 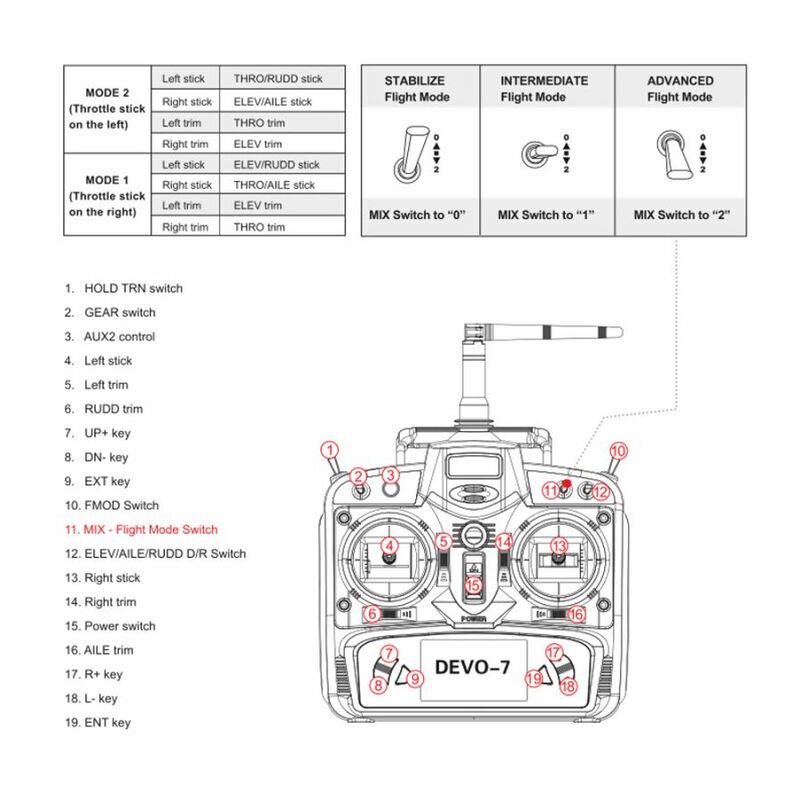 DEVO 7 remote controller adopting 2.4Hz direct sequence spread spectrum technology (DSSS).